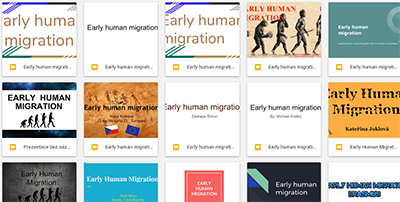 Children of history studied the routes of migratns in 20000BC. The results were presented on a noticeboard with a map and pictures and timelines. We have also many presentation on Google driver. Making logos in the Czech Republic - Different yet the same. Erasmus meeting in Madrid in Spain 25/26 September.